What would you say if we told you that it's now easy to tell when someone who has previously visited your website, comes back again? Imagine. You have a website visitor who looks at a number of your used stock and then completes a CAP Valuation on their own car. You follow up the valuation but maybe you can’t get through to them, or the lead goes cold. A week later, they come back on your website, and you receive an email alert telling you that they’ve back, and what it is they’re looking at. You pick up the phone and subtly get back in touch, resulting in a test drive and a purchase. That might not have happened if you didn’t know they’d returned. This sort of technology is now a reality, and is just one example of how dealer websites need to embrace changing technologies. Called Autochart, it is a turning point for helping your sales teams to deliver “intelligent sales” – making their response to each and every enquiry more appropriate and relevant than ever before, for both new and returning visitors. If you use CAP Valuations, then you’ll know that they’re one of your key website lead generators. The accurate costs returned and the individual customer data gathered mean that they are useful to both customer and dealer, and we see a strong conversion rate to sale in our customer case studies. However, it is important that you embrace technology to help you convert these customers better, rather than falling behind the times and playing a game of digital “catch up”. The same applies for products and digital channels that we know you have been hearing about for years. Take Live Chat – whilst some dealers are making the most out of it, others are still worrying about how to implement it, and are starting to lose out on enquiries. Some customers are getting on board with social media and blogs, whilst others are fearful of negative reviews and try their hardest to avoid it. With digital marketing changing so fast, the dealers who see the potential in new technology and put the effort into making it work for their business will be the ones who start to reap the benefits. Being able to spot the game changers when they appear on the market, trial it and build processes that work, puts forward thinking dealers ahead of the crowd – something we know is vital in such a busy marketplace. What’s the moral of this story? Accept that digital products will always be growing and changing – and make sure that your business is ready and willing to benefit. 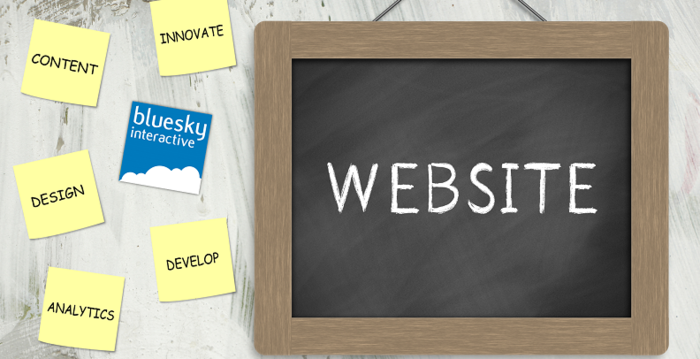 Bluesky Interactive produce award winning web design featuring the very latest technology. They integrate the latest technology into their websites and digital marketing services on a software as a service basis. To find out more, call 0845 415 4853 today.